Want to improve your fly fishing? Don’t do the same old same old. Seek to master your craft and gain experience through experience. Try different waters, styles, methods, species, partners, warm water, salt water, ice, traditional tackle, etc. I recall George Daniels saying something like this, “bass fisherman are some of the best on the planet so I studied them and their techniques.” Long story short, think about your path to excellence as a series of learned moves. Martial arts master Bruce Lee started out with the basics of one martial arts form, Wing Chun. Eventually, he broke the rules and experimented with other forms. 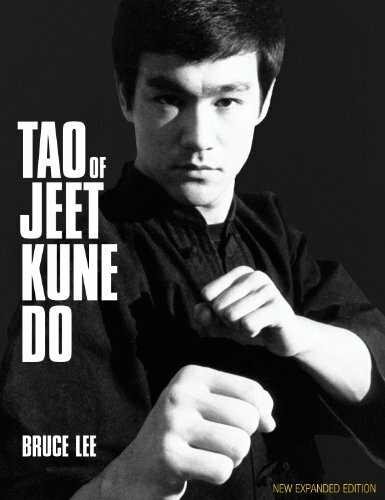 Bruce Lee saw that it was a combination of all styles that would lead to the development of Jeet Kune Do, what he perceived as the best of all styles combined. He wanted to master all styles so his repertoire of moves was ready for any circumstance. Let’s apply this scenario to only one piece of fly fishing...nymphing. 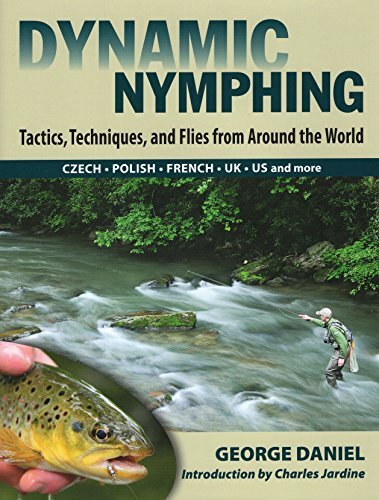 Read George Daniel’s book Dynamic Nymphing and you’ll see an excellent example of mastering a niche. Geroge educates you on all forms of nymphing because he understands that there are times and places for each method. Have a 30-foot drift in a run? An indicator may be your best choice because you can get a great drift for a long stretch. But in a small seem, it may be best to practice a euro nymphing or modern nymphing technique. Frog water? Go with the Czech coil. You get the idea. Look, learning how to master a complex task takes a repertoire of moves. How do you quickly learn those moves with the ability to recall them when you need them? I have found that through experience is the best method. When you expose yourself to new scenarios you are forced to experiment and learn. The physical and mental images are sticky. They tend to stay with you. I’ve had similar reflective moments when reading. I’ll be reading about pupating caddis and all of a sudden I can think of a time when I was on the water experiencing the hatch. Fish are jumping and feeding all over the place but why won’t they take my dry fly. They are literally coming up next to my fly! Take these tips for building out your fly fishing repertoire of moves. Fish all kinds of water - Saltwater, freshwater, cold, warm, ice. Each one has its own techniques. Each one has different climates, elements to deal with. Identifying where the fish are is different in each space. However, small things from each one will carry over to the other. Moving water, still water, frog water, high water, low water, big water, small water, riffles, drop-offs, pools, runs, tailouts, flats, etc.. Again, all take different methods and with each method, you are adding a few new moves to your repertoire. Here is a great example of fishing with new people and asking questions. Two out of the 3 anglers in this image I never fished with. One traveled in from Arizona another is studying fisheries biology. Sharing thoughts, asking questions and trying new techniques with a group of friends is an incredible opportunity to learn. On this day Native Cutthroat Trout were the target. Talk to people - Ask questions about everything not just, “what fly are you using?” Flies are the least of your worries. Where are the fish sitting? Mid column, heads, tailouts, banks, deep? How do you like to fish this water? Why? Tell me more? Can I watch you? That...why are you doing that? People like sharing and showing their individual expertise. It’s empowering to teach others. Take advantage of that. SHUT UP AND LISTEN then don’t forget to thank them profusely. Study - Go to your local library, it’s free. Borrow a book, read online, watch a video, experiment with what you’ve learned. Fish with others - Fish with new people and you learn new things. I especially like to fish with those that are better fly fishermen. I also like to fish with anglers that are specialists. Find a guy that loves swinging wets or only fishes streamers. They are great at their niche. Well, learn that then go on to another niche. The fly fishing repertoire of moves can be built in many more ways than I have identified here. That is why I love the sport. The learning curve is never-ending. Master your craft and build your own repertoire of moves and your fly fishing will improve and remain fun for a lifetime.